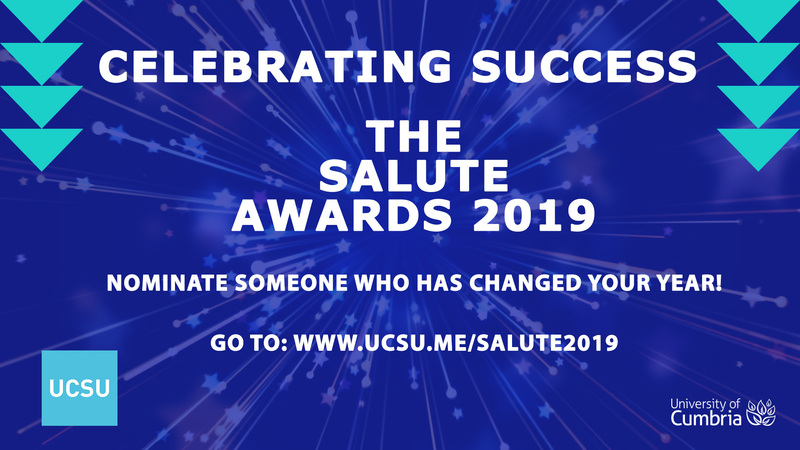 The university and UCSU will join forces this year to celebrate staff and students at this year’s Salute awards. These awards recognise those staff and students who enrich each of our campuses through their contributions to, and engagement with, student experience, democracy, and opportunities. The awards will recognise and thank those who develop our campuses into inviting, nurturing hubs of personal growth. Submissions are now open for entries for you to nominate someone who you feel has really made a difference to University of Cumbria life. We have a number of new categories this year so follow the links below by campus of study to find out more about the Awards, individual categories, criteria and how to nominate. Closing date for all nominations is 17th April 2019 and we will announce the finalists week commencing 22nd April. Details on attendance/tickets to the events will be available soon!